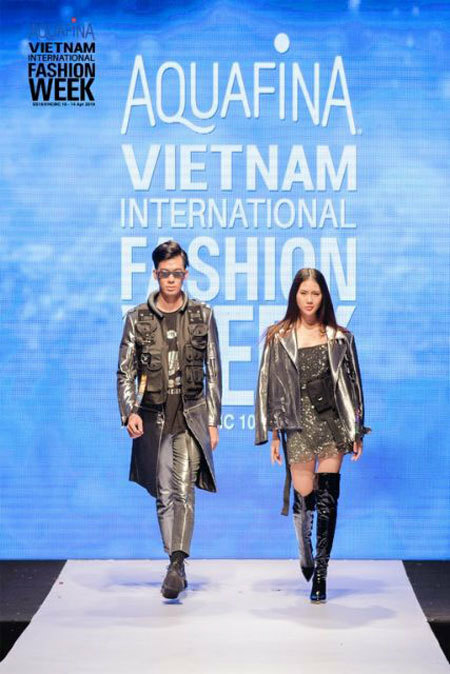 Sixteen Vietnamese and international fashion designers and fashion brands will take part in the Aquafina Viet Nam International Fashion Week (AVIFW) Spring-Summer 2019 in HCM City from April 11-14. Trang Le, AVIFW president said the event, “Shape the Future”, would "aim to elevate the status of Việt Nam fashion in the global fashion industry”. Ao dai designer Minh Chau, who will join the fashion week for the first time, will bring to the event a collection of black ao dai (Vietnamese traditional dresses) to honour the beauty and strength of Vietnamese women. Chau’s designs will be hand-embroidered with lace and crystal stones to make it more luxurious and modern. Viet Tien Garment Joint Stock Company will display a collection called “Future Men” inspired from the strength of men. The designs will be made with special materials, including metallic, and dye-washed and carbon-washed fabrics, featuring unique shapes. The event will be held at the Nguyen Du Gymnasium at 112 Nguyen Du Street in District 1. All of the catwalk shows will be broadcast live on television and the mobile application FPT Play.